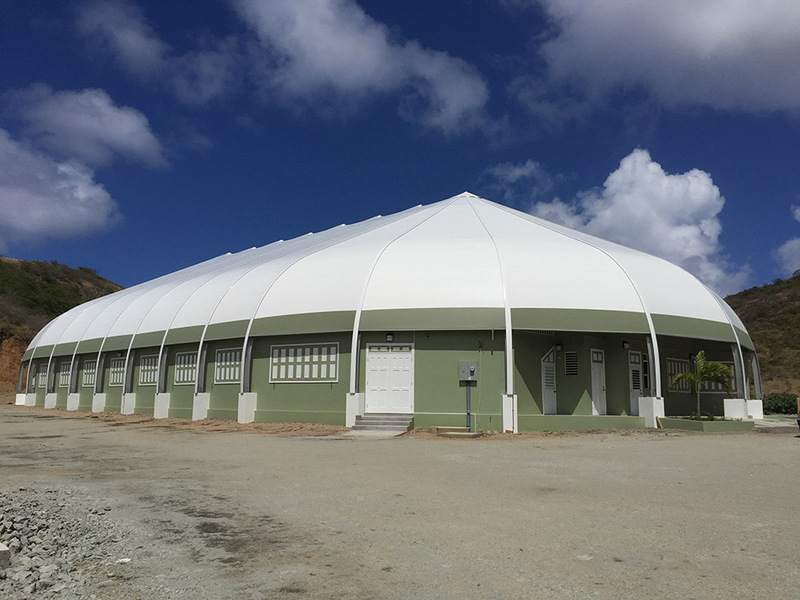 Montserrat Sports Arena - 100’ wide x 187.5’ long basketball facility. 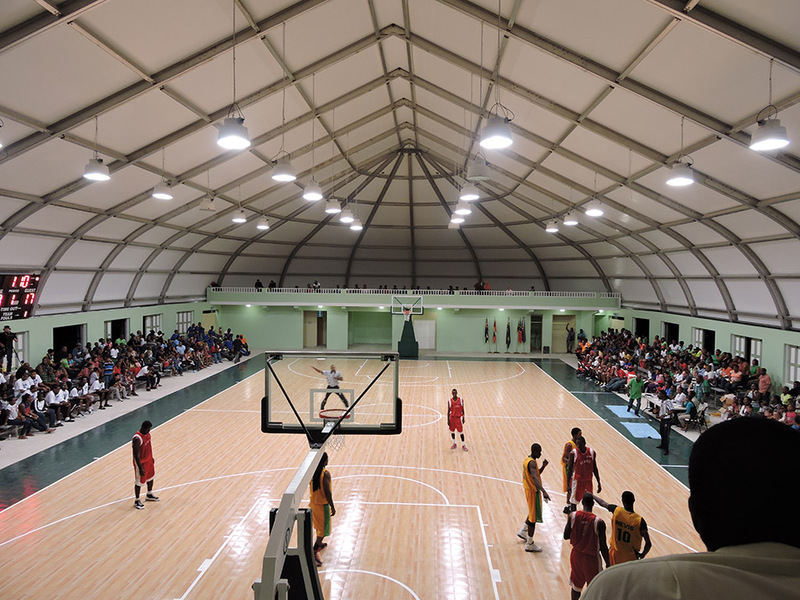 December 4th - 9th, 2014 the Montserrat Sport Arena hosted the Leeward Islands Basketball Championships. 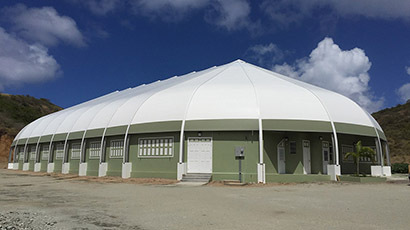 Montserrat Sport Arena is located on the island of Montserrat in the Caribbean. 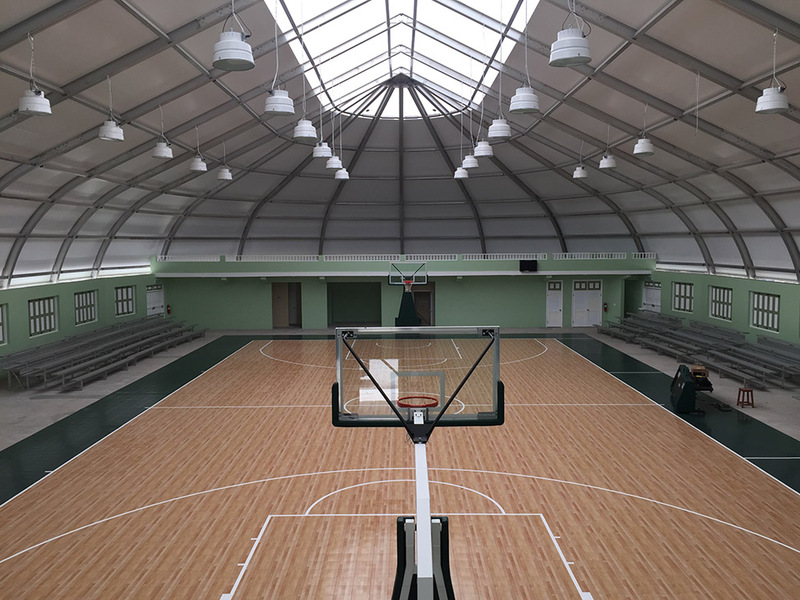 With the basketball court enclosed, scheduled games are not effected by weather. This sports arena contains a small office space, bathrooms and changing rooms. Membrane is terminated at 8’ height level to allow for increased air circulation. Cool breezes can be taken advantage with the air flow over the top of the raised walls and the wide windows. 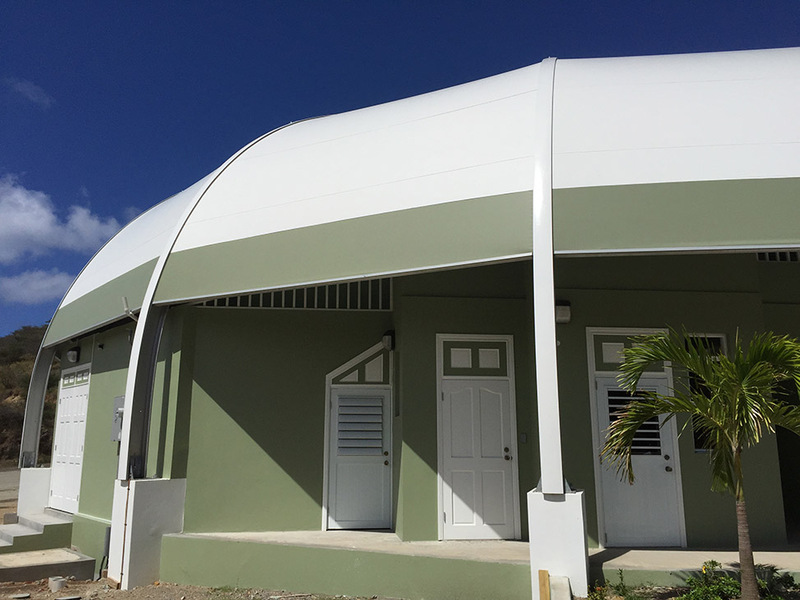 Montserrat Sport Arena is located on the island of Montserrat in the Caribbean, which carries a wind load of 120 mph. The island of Montserrat is famous for the volcano eruptions happening since 1995 and being the last one in 2010. 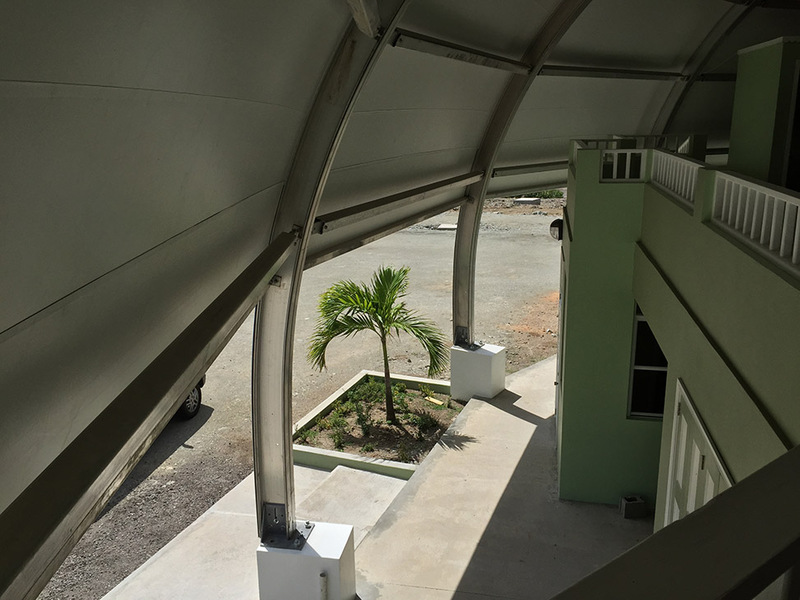 Membrane of this 100’ wide x 187.5’ long Sprung Structure is terminated at 8’ height level to allow for increased air circulation. This sports arena contains a small office space, bathrooms and changing rooms. 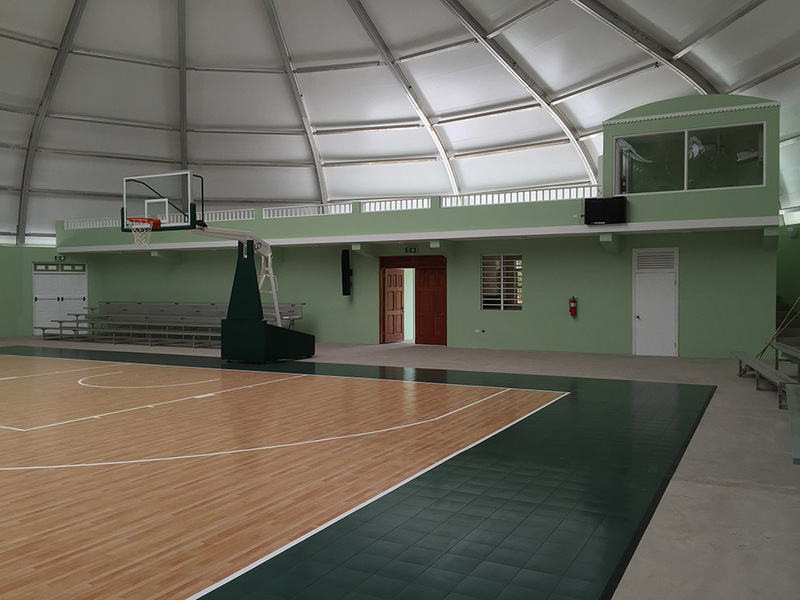 December 2014 Montserrat Sports Arena hosted the regional basketball tournament. Seven teams participated; Antigua, Anguilla, Barbuda, BVI, Montserrat, Nevis and St. Kitts. The tournament saw full capacity crowds especially when Montserrat played and during the finals.